The demons are infiltrating the Underdark! Can you escape? Can you put a stop to this? Make a legendary creature, preferably a humanoid one, thats not gigantic or as tiny as a worm. 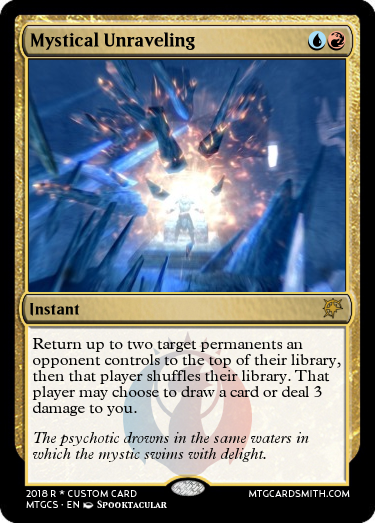 Then make a card that represents that creatures main attack or signature move, such as an instant representing their favorite spell. Also put a bit of backstory in about how they could be captured by a drow raid. Once people join in, I will do the saga kick-off! Here's Meloran, he uses blood magic and dark magic to mutilate sacrifices and other creatures he defeats. Occasionally he performs experiments on himself causing him to have stitches where he has attached limbs of other creatures. After having his home destroyed, he had to live off of the land, soon realizing that there was magic in the land. Using that to his advantage, he defended himself for years. 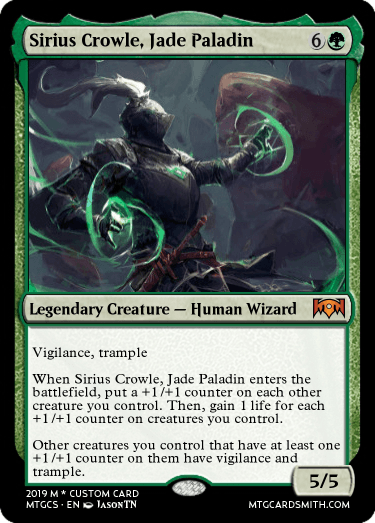 Sirius Crowle is a Warmage from the Jade Order. His rank of Paladin grants him lordship over elemental forces, which are used by the Order as their main troops. He was caught as he was leading a detachment of elementals and Order knights into a deep network of caverns, where deep elves had retreated after a failed night attack against a nearby bastion of the Jade Order. He was separated from the others in the ambush, and knocked out cold. 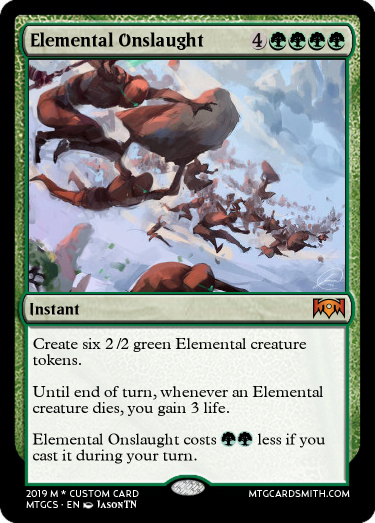 I think Elemental onslaught is a bit overpowered, 6 mana for an overall of 14 power and having come back once they are gone is a lot. Cool creature, now say how he could have been captured by the dark elves. Meloran felt weakened from his day of rituals but the rush only brought on by the blood and mutations went through him. He went to his chambers and bathed, as he bathed he felt a headache flare. He donned his robes and went to his bed. He slept but when he woke up, he was somewhere else. It was dark with damp and musty smells around him, he was surrounded by halls with stone walls. Can I forum post my specialty since i can't find art for it? @Bowler218, preferably a card but I will allow it. 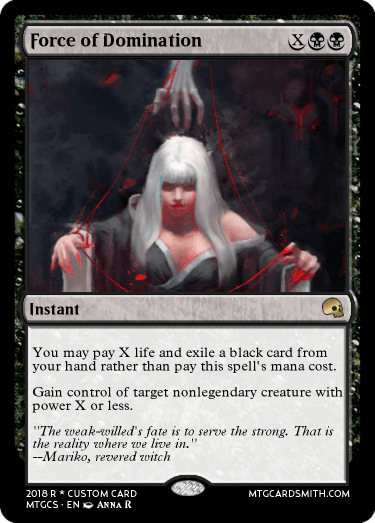 @pjbear2005 Army of the Damned creates 26/26 worth of P/T for 8 cmc, and has a flashback. But I think I'll do something for the reminiscence mechanic. @pjbear2005 Complete overhaul of the card. Reminiscence scratched. Meloran wakes up, his eyes have no need to adjust due to his extensive time in darkness will mutilating his victims and offering them as sacrifices, he is in a prison cell with 7 other prisoners, all chained to the wall, it smells of death, which is a very pleasant odor to him. Mariko has been awake for awhile now, silently plotting her escape. This prison is shared by 7 other people, people she hopes to control and manipulate into helping her. As for the ones who captured her, they will suffer even beyond death. As she thinks this, a man begins to stir. Aeveral awakens with a start and looks around warily. She has been trained all her life to live on her instincts in the harsh wild. This was not natural, elves with skin pitch black had taken her. She looks around and spot s 7 others in the prison witch are all chained like her, but only 2 others remain awake. Sirius wakes up and looks around him. He has been out cold who knows long, from raiders of the below world. He is is a conduit in which the elements can pass. A protector a warrior, a paladin. The cell is dark and dirty, with 7 others chained to the wall along side you. Only 3 others are awake. What does Sirius Crowle do? @bigbadbooknerd, am I still able to join? 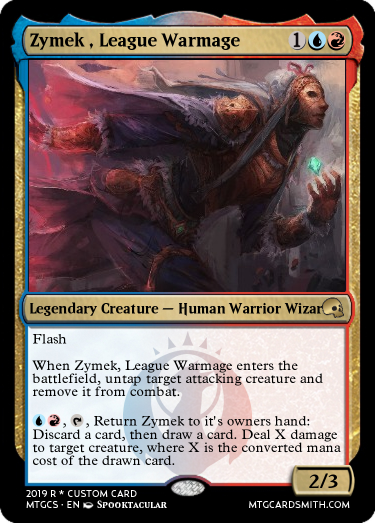 Zymek becomes the fifth to wake up. 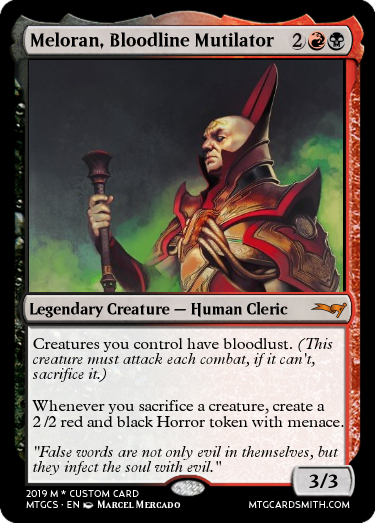 This darkness is new to him, contrasting greatly from the constant mayhem and blinking lights of the Izzet, he is chained to the wall, there are seven other prison. Only four of the others are awake. @bigbadbooknerd Meloran drains the blood from his hands and waits for his hands to fall off, he has escaped prisons this way before, he could find new ones, it was nothing more than an inconvenience. He used his blood manipulation to close the wound and looks at the other people in the room. Is this a saga where we can affect each other when we get to the same place? Yes, you are in the same place now.